Have you ever wanted to attend one of our Building 101 events, but couldn't make it to the branch? Join us for a special lunch-time VIRTUAL Building 101 Seminar. 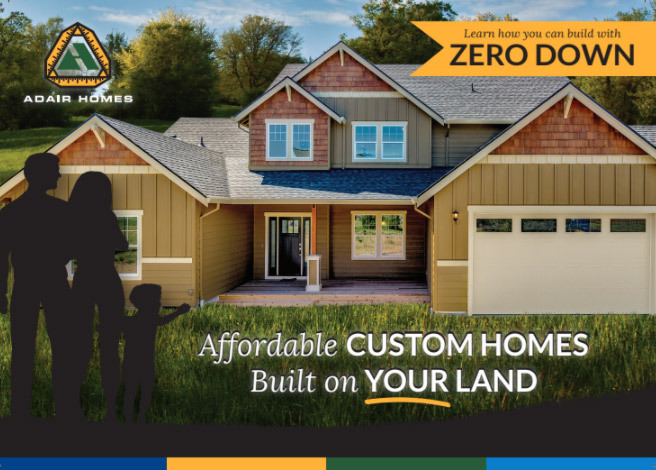 Adair Homes is offering this comprehensive seminar that will answer all your questions about the home building process from the comfort of your home, office, or mobile device.